Oprah Winfrey arrives at the Los Angeles premiere of Disney's "A Wrinkle In Time" held at El Capitan Theatre on Feb. 26, 2018. 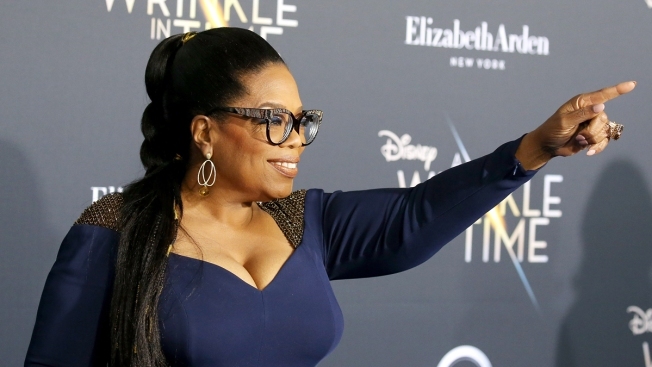 Although time and time again media mogul Oprah Winfrey has shut down speculation of a possible 2020 presidential run, she revealed to People Magazine there is one factor that might convince her — and that’s a call from God. However, she said that she hasn’t gotten that message yet. Winfrey accepted the Cecil B. DeMille lifetime achievement award at the 75th Annual Golden Globes in January where her acceptance speech sparked a strong backing from social media users urging for her to run. On top of Graham’s comments, Winfrey said her best friend Gayle King has also urged her to take the possibly of running seriously. She said the encouragement made her think she should at least look at the question, but God has not shown her a definitive sign — yet.